The Nova Scotia Nominee Program (NSNP) is designed to accelerate applications for prospective immigrants for permanent residency if they have skills or work experience which the province feels are desirable for its employment market. If an applicant is successful they will receive a certificate of nomination that they can then use to apply to Immigration, Refugees and Citizenship Canada (IRCC) for a permanent resident visa for themselves and their dependents. It is important to note that the IRCC always makes the final decision as to whether or not an application for permanent residency is successful. There are five streams via which an applicant can apply to the NSNP: Entrepreneur, International Graduate Entrepreneur, Skilled Worker, Nova Scotia Demand: Express Entry, and Nova Scotia Experience: Express Entry. The different qualifying criteria are detailed below. This stream is for those who have experience in running a business or who have been managers at a senior level in business and wish to take up permanent residence in Nova Scotia. To qualify the applicant must have started a business in Nova Scotia or taken over an existing business; in both cases the applicant must be actively involved in the regular activities of the business. Once the applicant has been running the business for a year s/he may fill in an Expression of Interest form (available here: http://novascotia.ca/sns/access/online-services/immigration/eoi-entrepreneur.asp), after which s/he may be given an Invitation to Apply by the Nova Scotia Office of Immigration. In order to be successful, an applicant in this stream must be 21 or older and demonstrate that they are committed to settling in Nova Scotia while running their business. They must have a net worth no lower than $600,000, of which they must be prepared and able to invest $150,000 in their business. An applicant must also have experience of day-to-day running of a business of which they owned at least a third for three years, or have held a senior business management position for at least five years. The applicant must also attain level five in either English or French on the Canadian Language Benchmark listening, speaking, reading and writing tests. This stream is intended to help those applicants who have recently graduated from a university or community college in Nova Scotia. The applicant must have either taken over a business in Nova Scotia or begun their own business and been operating it for a minimum of one year; the applicant must own 100% of this business. After running the business for this minimum time the applicant may fill out and Expression of Interest form (available here: http://novascotia.ca/sns/access/online-services/immigration/eoi-international-graduate.asp) after which they may receive an Invitation to Apply from the Nova Scotia Office of Immigration. Applicants in this stream must have undertaken a minimum of two years full-time study at a Nova Scotia University or community college; this study must have been in person (i.e. not by distance learning). Applicants must have a valid post-graduation work permit and have attained at least level 7 in English or French speaking, listening, reading and writing on the Canadian Language Benchmark. This stream is for overseas workers or newly graduated international students who have skills that are at a premium in the Nova Scotia employment market. Employers may only bring in foreign workers to fill a vacancy once they have tried and failed to fill the position with a Canadian citizen or permanent resident. For an applicant to be eligible they must be between 21 and 55 years old and have an offer of a full-time permanent job from a Nova Scotia employer. They must have at least a year of experience in the job that they have been offered (applicants wishing to work in semiskilled or low skilled employment must have been working for the employer who has offered them the job for at least six months). Applicants must show that they are suitably qualified and have the correct skill sets for the job they have been offered; they must also have a high school diploma. Skilled workers must demonstrate proficiency at French or English (unless one of these is their first language) to meet Canadian Language Benchmark level 5. Semiskilled/low skilled applicants must meet Canadian Language Benchmark level 4 (they must prove this even if French or English is their first language). All applicants must demonstrate that they have sufficient resources to enable them to set up house in Nova Scotia for themselves and their dependents without extra assistance. 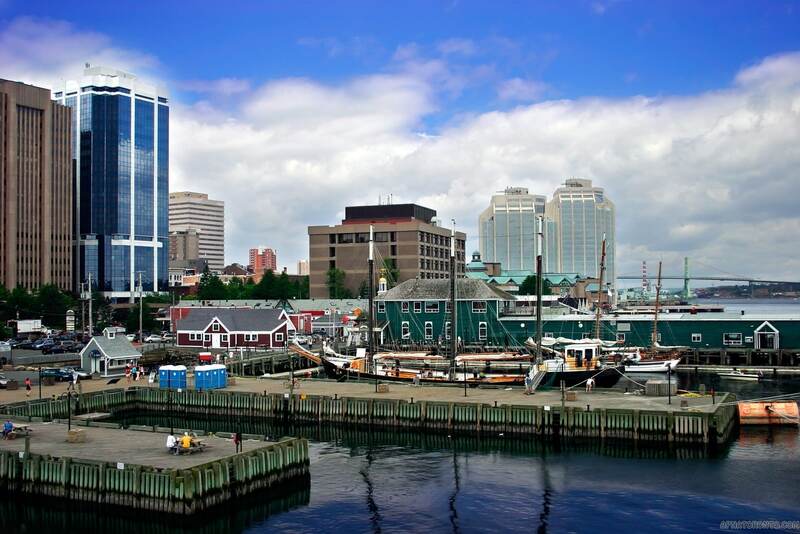 This stream allows the Nova Scotia Office of Immigration to choose from the IRCC Express Entry system those candidates who are particularly desirable/needed for the Nova Scotia employment market. Only those who are thought likely quickly to obtain employment will be selected. Successful applicants will have a minimum of a year of skilled work experience in one of the occupations required, be educated to Canadian high school level or a similar foreign equivalent and have reached Canadian Language Benchmark level 7 in English or French. They must also be able to demonstrate sufficient funds to settle themselves and their dependents successfully in Nova Scotia. Candidates who feel they would have been appropriate for this form of express entry may still apply to register with the IRCC Express Entry system, from which they may receive invitations from other Canadian provinces but, as noted above, Nova Scotia is not operating this stream at present.